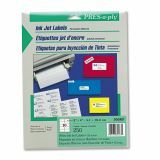 PRES-a-ply Inkjet Address Labels, 2 x 4, White, 250/Pack - Save time addressing envelopes with these adhesive label sheets. Create labels in black and white or the color of your choice. 8-1/2 x 11" sheets feed automatically through your inkjet printer. 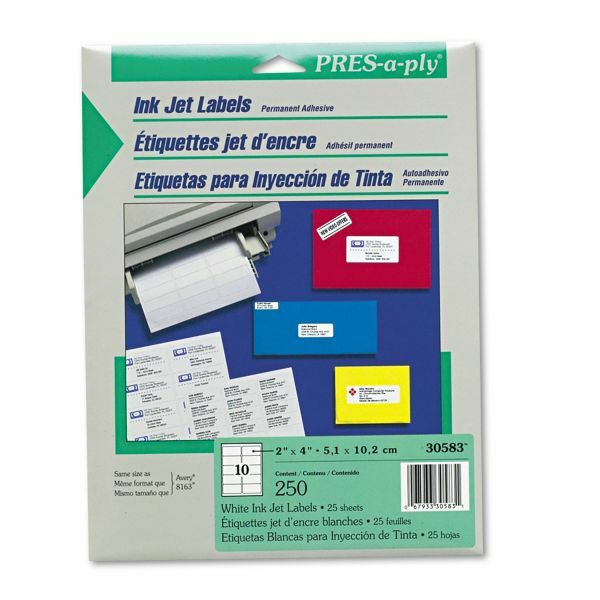 Permanent adhesive keeps labels secure on all mailings."